Welcome to a comic as weird and wild as Texas! Over the next few weeks I’m going to be spending some time introducing ya’ll to the creative team behind the Halloween Man “Bat City Special.” This time it’s Joey Muerto! Introduce yourself and your background? Hey, I’m Joey Muerto! I did the art for the Man-goat story in the Bat City Special. I’m a comic artist and writer. I’m also a musician and filmmaker. I have a band called Bat City Surfers, a label called Bat-Tone Records, and I went to art school for film. How did you come to be interested in making comics? I’ve been reading them since I can remember. They taught me how to draw and how to read. They have always been a part of storytelling in general to me, and they were always something I aspired to make. I made my first readable ones in high school, an ode to Slave Labor Graphics, basically. What are some other projects you have worked on? 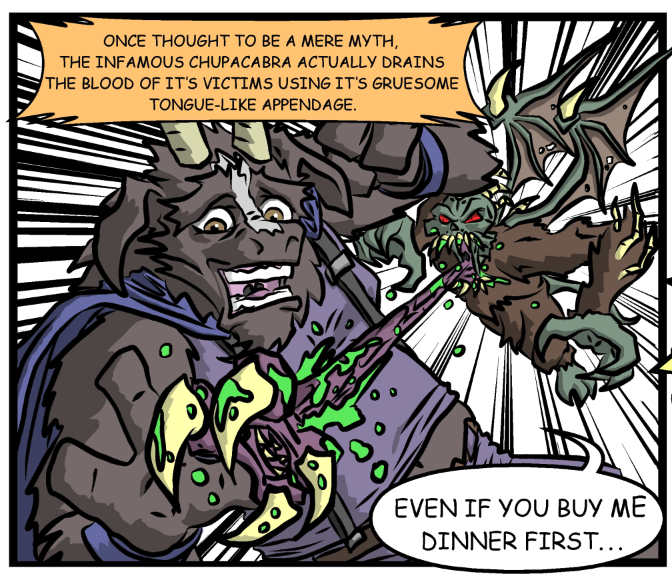 I write and draw an anthology comic, Muertozine. Its a bunch of different genre related comics. Lo-Life is a cyber-punk comic, there’s a fantasy comic called Dead Elf, and a noir comic about a guy with an eyeball for a head named Jerry Ojo. I also do album art. I did art for the Tales From Bat City Compilation, Bat City Surfers, The Spoils, Riverside Riot, and Los Bones. I have an Inktober zine coming out soon. Frank Miller, without question. He is the guy. Too many awesome styles throughout his career, too many great stories, too many fun comics. He is the man. Sin city and Dark knight strikes again are my favorites of his. I even like his Spirit movie! Maybe he’ll drop an album?! I’m from Austin and lived here most of my life. I’m a freak! Look away! How would you describe working as an artist in Austin? Like so many things, it is a bit more about who you know than what you do. I do feel like I’m very lucky to know so many other artists. We can sort of help each other out in different ways and I’ve learned a lot from different people. Learn events from one artist friend, learn printing from another, have the words of another bounce around in your head when you need motivation and think you’re going crazy. Easy is not one of the words I would use. I see people working so hard to make it off their art and I hurt for them. They aren’t messing around either, lot of real talent in this town. Austin, is known is a musical city, are you involved with the music scene? Are are there any venues or bands you like? I do have a horror-surf band, Bat City Surfers, and we’re sometimes called the heaviest surf band in the world. I also help out with a local surf music collective that books Second Saturday Surf nights at the Nomad so if all of you could come out to that, that’d be great! I do a lot of the art for our label, Bat-Tone Records, as well. We put out compilations, own music, and an EP of the label’s first band, Wax Animals, is coming soon. Our next recording, Bat City Surfers… Must Die! Will be released early fall and we’re very excited to put it out! Lately, I think I’d recommend kickbutt coffee. It’s far from downtown like knomad but with more events. Lot of punk shows happen there, we had our first album and comp release there a while back too. Right now, I think my favorite local band is Rebel Flesh. It’s beautiful horror rock. But Boss Jaguars and Punks On Parade are worth mentioning. When did you first become aware of Halloween Man? Rock and roll has been kind enough to bring some cool people into my life. Drew is one of them! Who is your favorite Halloween Man character? As much as I like all of the big 3, I love Man-goat. He just tickles me, I like the way he makes sure people know who he is, and what he can do! Plus he’s sort of like a monster and a superhero so that’s fun to draw. I had to make sure I didn’t draw him too evil looking. But you’re told your whole life goat men are evil, right? The stigma! Tell us about your story for the Bat City Special and your process of working on it? 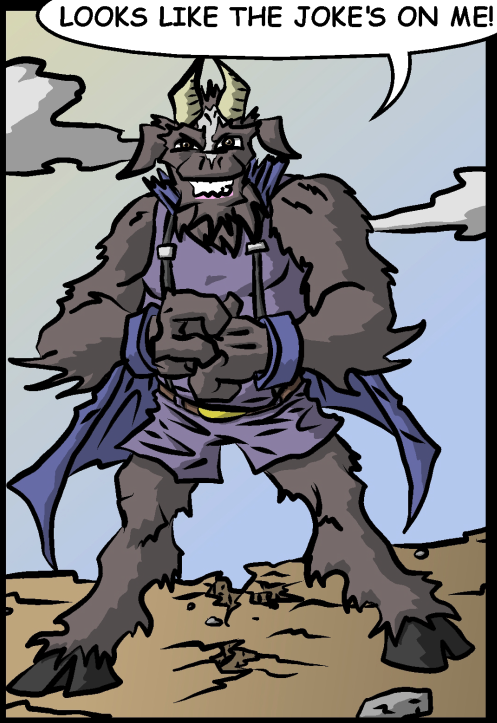 Well I had the pleasure of not only drawing Man-goat, but also the folk monster El Chupacabra. I’ve always been a fan of the legend, along with La Llorona and El Cucuy, ever since I was a kid. These were supposed to be scary things but I always just wanted to know more about them. I like monsters! The process was chill because I got to focus on the art, which is different than what I usually do. I do a small, sketchy version of the pages first and then I go for it on the big paper once I like it. After pencils, inks, and lots of erasing, I clean it up and color it in the ’puter. Letters, effects, a couple sleepless nights and emotional breakdowns, then we’re all done! What else excites you about this project? As a fan of the book and characters, being able to join the Halloween Man team and universe has been the most exciting thing. It’s a great honor to be part of such an appreciated book, especially one that stars a horror sequel powered superhero! I love horror movie sequels! I just wanna say it was a pleasure meeting with the guys over time and working on the special. And I’m sorry about that time I pocket messaged the group with paragraphs of random letters! I didn’t see that ’til days later and I was so embarrassed! Why did I bring this up? Anyway, I think everyone did a great job and Ive fallen in love with some of the guys’ work. I look forward to drawing with Drew and the guys again in some other Halloween-verse outing! THANKS JOEY! IF you wanted to support the Bat City Special, please check out their IndieGoGo page!